There are things in this world that we would like to have forever. I mean, posses it for eternity. My brother, anime, manga, light novel, my happiness, my otaku room would be some of those. My parents are not with us (me and my brother) anymore that's why I never mentioned them. Of course, if there are things that we would like to have for an endless state of time, there will be things that we would hate as well. I will name one, and that is the thing that I hate most. I hate failing as a teacher. For me, failing in my teaching is like failing on everything, some may say that it is very easy to teach but the burden you carry as a teacher isn't. 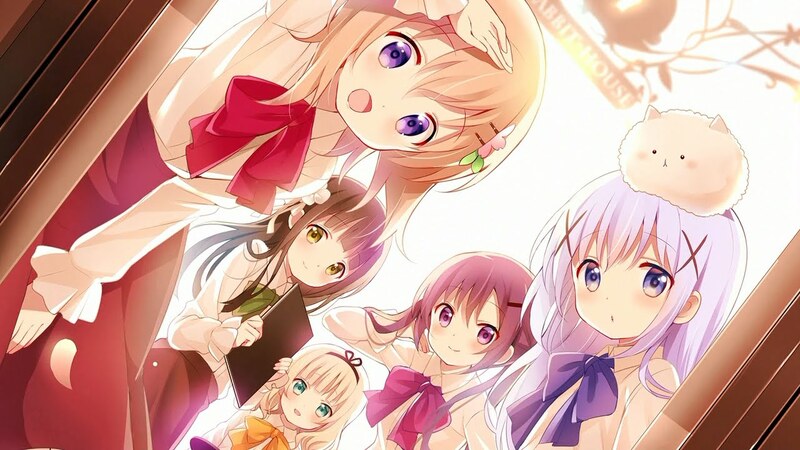 Well, speaking of eternity, I have blogged about Gochuumon wa Usagi Desu ka?? before. It was a post that it should have a second season. I was right, it did had a second chance. I am pretty sure that the original author of the manga is very happy and would like it to have more exposure for eternity.